Many Characters in the BIONICLE storyline belong to Sapient Species that have distinctive physical and cultural traits. This page lists sapient species that have known names and/or sapient species about which much is known. For other sapient species, see Sapient Species/Unnamed Species. The majority of the species on Spherus Magna have a physiology that is mainly composed of organic parts, although individuals have various mechanical implants to boost their capabilities. Below is a list of sapient species who have been known to occupy Spherus Magna. After the Shattering, the majority of the species were relocated to Bara Magna. However, they have again come to occupy the planet after its reformation. The Agori are a native species to Spherus Magna, and are the primary occupants of the planet. The Agori developed their own culture after the Shattering, dependent on Arena Matches to resolve disputes over resources in a peaceful way. The Element Lords are a group of elementally-powered beings created from the Glatorian and Skrall species by the Great Beings to help them govern Spherus Magna. The Element Lords eventually led their tribes into the Core War. They were all trapped after the Shattering, but were eventually freed. Although each is affiliated with a different Elemental Power, they were all created in the same way. The members of the species which belong to the Glatorian class are native to Spherus Magna. Many fought in the Core War as soldiers in the armies of the Element Lords. In the Bara Magna arena match system, they became warriors who fight on behalf of the villages for resources in return for food and shelter. Each individual has varying levels of strength and agility, along with different skills in nature. The Great Beings are a group of powerful and enigmatic members of the Glatorian species. Passionate creators, they once occupied the planet of Spherus Magna. The Skrall are a brutal and savage race which once occupied a mountainous region of Bota Magna. After the Shattering isolated the Skrall from their homeland, they occupied the region north of the Black Spike Mountains. After being attacked by the Baterra, the Skrall migrated to the more occupied areas of Bara Magna, where they took over the village of Roxtus. The Skrall race is split into various classes, including a class of leaders and a class of warriors. In nature, the Skrall race is more agile and strong than other races on Bara Magna. Below is a list of named or major sapient species which occupied the Matoran Universe. Initially, these species operated on a task-oriented artificial intelligence, but a Great Being disguised within the Matoran Universe was responsible for their development of true sapience and culture. All of these species were forced to migrate onto Spherus Magna or die after their universe was destroyed in the Battle of Bara Magna. The Matoran are the primary occupants of the Matoran Universe, and are vital in keeping the Great Spirit Mata Nui working efficiently. The Matoran take on various occupations, and have developed a complex Society and cultures. Biologically, a Matoran is composed of primarily mechanical parts, with organic organs, and speak the programming language used by the Great Beings. 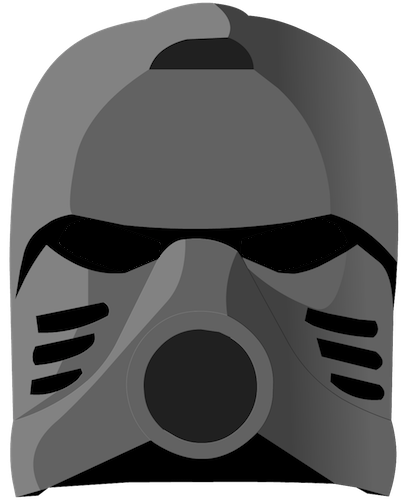 Each Matoran possess innate Elemental Powers and wear powerless Kanohi masks. They were based off of the Agori. The Toa are the primary defenders of the Matoran Universe, and are a subspecies of the Matoran. A Toa can be created through a Matoran transformation, and possess great amounts of elemental powers which they use in their jobs. They are also capable of using Kanohi powers, in accordance with their elemental powers. Within the Toa subspecies are further subspecies, the Toa Nuva and the Toa Hordika. They are based off of the Glatorian and the Element Lords. The Turaga are the wise leaders of the Matoran race, and are the final stage in a Matoran's life. A Turaga can only be created if a Toa willingly sacrifices his or her powers. A Turaga is capable of using limited amounts of elemental powers and Kanohi powers, but is rather weak when compared to a Matoran or Toa. The Makuta are a species which had evolved from biomechanical beings into pure energy named Antidermis. The Makuta species wield the power of Shadow along with forty-two other powers which can be used to create different types of Rahkshi. The Makuta race also wear Kanohi masks, and have a level of power which exceeds a Toa. All Makuta are evil, having given out their moral Light, and have immense pride in themselves, lusting for power and desiring to be superior to other races. Currently, all but one Makuta are deceased. The Skakdi are a violent species native to the island of Zakaz. Each Skakdi has sharp claws and teeth, and has an organic spine attached to their heads. The Skakdi also have elemental and vision powers, and they are constantly battling against each other after a failed experiment conducted by Makuta Spiriah, although they lack the mental discipline to use Kanohi. An unwanted byproduct from the creation of Krana, the Zyglak are a species shunned by the Great Beings and the inhabitants of the Matoran Universe, and now inhabit dark and unwanted parts of the universe. The Zyglak are intelligent and amphibious, are physically stronger then Toa, and have immunity against elemental attacks. They are also the carriers of a Protodermis-eating disease. A race of sapient beings which reside in a pocket dimension, and have also been seen in the main dimension within the Red Star. Members of this species can be purple, black, or a mix of both. In the pocket dimension, they seem to have a grudge against the City-Building Creatures, which they endangered greatly, leaving only one alive. A Rahi-like species that reside in a pocket dimension. The species members are about twenty feet (six meters) tall and are herbivorous, feeding on large melon-like fruit. They are gentle by nature and will only use their formidable claws in self-defense. They also built a grand city of silver and crystal towers, where they lived and prospered for a very long time. Unfortunately, a group of Kestora attacked and took the city as their own, leaving only one inhabitant alive. This page was last edited on 11 September 2017, at 06:15.